Mohammed Siraj cut a sorry figure. He was ill-prepared to handle pressure and sprayed the ball on either side of the wicket. This was besides his wides, no-balls and beamers. Malcolm Gladwell in his remarkable book Outliers details the 10,000-hour theory of how top performers practise for 1,000 hours a year over 10 years to gain expertise in a complex skill. 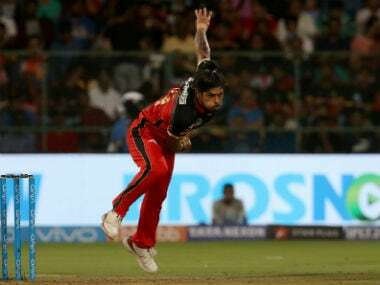 It is unlikely that Royal Challengers Bangalore’s (RCB) fast bowler Mohammed Siraj has put in that kind of hard hours even over the last four years. His skill set simply does not suggest that. Conventional Indian cricket wisdom is to blood a batsman young and a bowler at a much later stage. There is sound logic behind this. 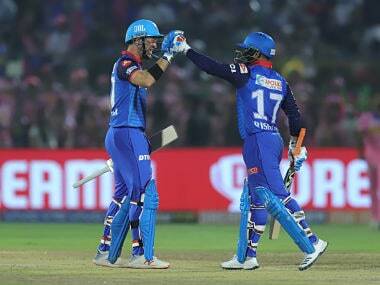 Good, young batsmen are ready to take on the best of bowlers in an effort to pull them down a notch. Sometimes it works. But importantly it brings in a mindset where the young batsman backs himself against any big name at anytime. Over the years this mindset, early success before he grasps the nuances of the art and the hard hours put in, help in turning a young, gifted batsman into a Sachin Tendulkar, Virat Kohli, Sunil Gavaskar, Rahul Dravid, et al. Unfortunately, this line of thinking does not work for young bowlers. They need to bowl at least 500 overs a year in competitive cricket over four to five years before they mature into dependable bowlers. Even Jasprit Bumrah, with his exceptional action had to put in some hard hours before he became the bowler he is. Otherwise India cricket over the last four to five decades is littered with bowlers who were blooded young but faded away as quickly. Laxman Sivaramakrishnan, Maninder Singh and Narendra Hirwani may be the best known names whose career ran aground prematurely. 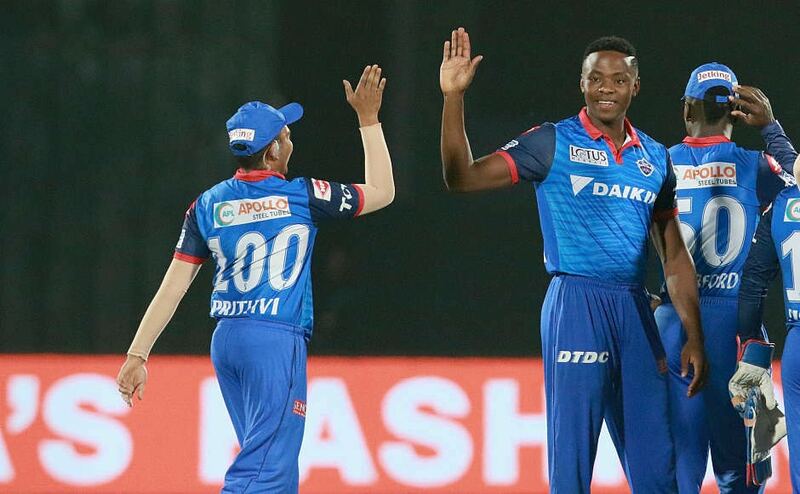 But there are dozens of others, including Washington Sundar, Varun Aaron, Karn Sharma, Rahul Sharma, et al who just fell away after the initial buzz. Bowling 500 overs a year under different conditions, varied situations and to batsmen of diverse temperament hones a bowler’s skill and temperament to deliver in tough situations. This is where Siraj’s lack of grounding let him and the team down. It might seem unfair to identify Siraj as the main culprit for RCB’s unexpected loss to Kolkata Knight Riders. 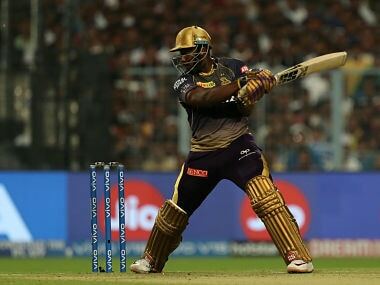 But it was his 18th over excesses on top of his earlier transgressions that opened the flood gates for Andre Russell to come up with a frenzy of unbelievable power-hitting that shattered RCB’s hold over the match. The 18th over hardly seemed a precursor to the mayhem that followed. Siraj delivered two dot balls to Russell who actually seemed to be struggling to get bat to ball in his short stay. He had just come to the wicket and was yet to get a grasp of its pace and bounce. Indications were that the ball was stopping for the spinners and this was flummoxing to Russell. However, just when it looked like Siraj would turn out fine in his third over, he sent down a wide bouncer. The next ball was the game changer. It was the dreaded and illegal beamer delivered straight to Russell’s head. Somehow, with incredible bat speed, the batsman managed to fend it, except that it sailed over mid-wicket for a six. The umpire rightly called it a no-ball and banned Siraj from bowling. Siraj had earlier sent down a beamer to Chris Lynn and this repetition warranted such stringent action. But what it did for RCB prospects was shattering. Another bowler who would not have been mentally prepared to bowl at that time was forced to come in and deliver the free-hit ball and go on to send down another four balls to complete the over. 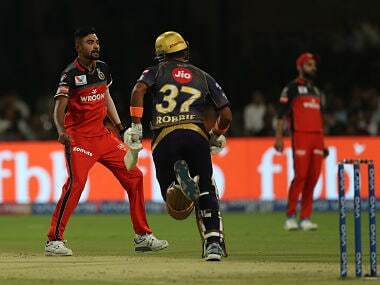 Additionally, it robbed RCB of the services of a fast bowler to bowl the 20th over. Meantime, Russell who just about managed not to get decapitated by the beamer probably benefited from the adrenaline rush. Top performers need just these kinds of situations to stir up their competitive juices and open up channels that would otherwise lie dormant. And what a massacre it turned out to be. Marcus Stoinis the bowler who filled in for the four deliveries and free-hit was immediately clobbered for two gigantic sixes which served as appetisers for Tim Southee’s 19th over. Russell creamed that for four sixes and a boundary to destroy RCB. 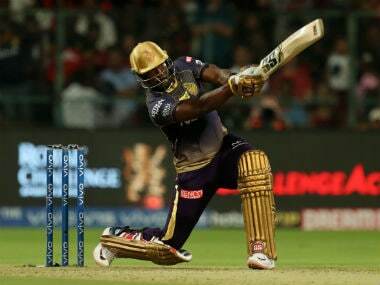 From 153 for 5 in 17.2 overs 53 runs had flowed in 11 deliveries as KKR registered an unbelievable win in 19.1 overs. Russell clobbered all and sundry for an unbeaten 48 in 13 balls (1x4, 7x6). 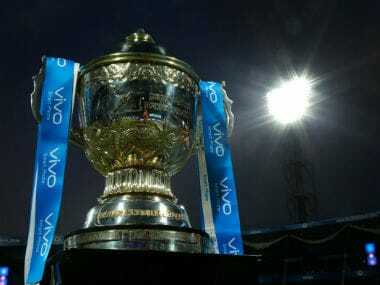 RCB were dead and buried in the twinkling of an eye! Siraj cut a sorry figure. He was ill-prepared to handle pressure and sprayed the ball on either side of the wicket. This was besides his wides, no-balls and beamers. If these were not bad enough, he also dropped two sitters in the outfield. Well as Pawan Negi and Yuzvendra Chahal had bowled in challenging circumstances, Siraj’s poor skill execution wrecked RCB chances. And sadly for him there was hardly any trace of dew to pass off as an excuse.